Leicester is one of the most populous areas in the United Kingdom and as well as this, the city also contains a range of nearby attractions. Bearing these facts in mind, it will not be a surprise to see that there are countless minibus hire services offered in the city. Airport Transfers – Leicester’s location means that hire companies will generally provide transport to a number of airports. However, East Midlands is the closest and this is the facility which provides the hire market with the most custom in Leicester. 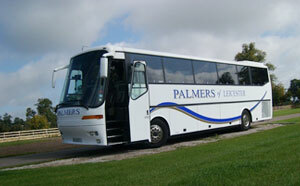 Day Trips – Minibus hire companies in the area are more than happy to supply their vehicles for one day hire. However, some firms do have maximum mileage policies and it is advised to read the small print so not to incur additional charges. As the name suggests, City Self Drive offer their vehicles without a chauffeur. For some people this will be ideal, as the lack of a driver obviously results in cheaper fares. The company was established in 1962 and since then they have expanded enormously, with their minibuses being able to hold anywhere between 7 and 17 people. Unlike the majority of firms in the industry, City Self Drive also provide a full list of prices on their website and with their smallest minibus retailing for £64.32 per day, they are certainly a company that should be considered. A family run business, Kareena Travels was established in 1984 and possesses plenty of experience in the minibus hire market in Leicester. While the company concentrate a lot of their business on airport transfers, they are also available for many other services including sporting events and local attractions. Woods Coaches are one of the most established minibus hire companies in the region, with the company offering a range of minibus options for customers. The firm provide services for all different types of events, with day trips, theatre shows and even full holidays being catered for. Woods Coaches are constantly updating their website with their latest promotional packages, meaning that consumers can snap up very good bargains if they act quickly. Considering the vast size of Leicester, it’s no surprise to see so many companies filling the minibus hire marketplace. Such competition means that the consumer has many options and should not have any problems in locating a minibus for any occasion.